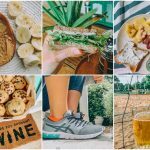 When I first started blogging, I thought I’d get as far as a couple repins on Pinterest and maybe some Facebook shares. 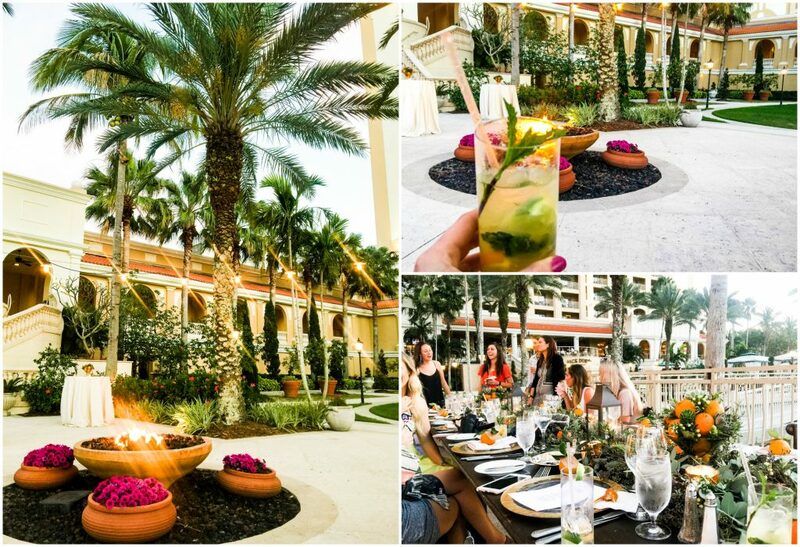 I would never have thought I’d one day be sipping mimosas with some of the most fabulous bloggers, getting vitamin c facials at the Ritz-Carlton, and visiting the Tropicana orange groves in Sarasota. I’ve been drinking Tropicana orange juice since I was a little girl. When they invited me on this trip to celebrate their 70th year of providing delicious and nutritious 100% pure orange juice, I was ecstatic. My mom couldn’t get me to down anything other than orange juice and pop tarts for the first ten years of my life, so it was cool to have the chance to learn all about Tropicana, the brand that practically helped me grow! Tropicana sponsored this post, but all opinions are my own ♥ Thank you, for keeping Simply Taralynn afloat! 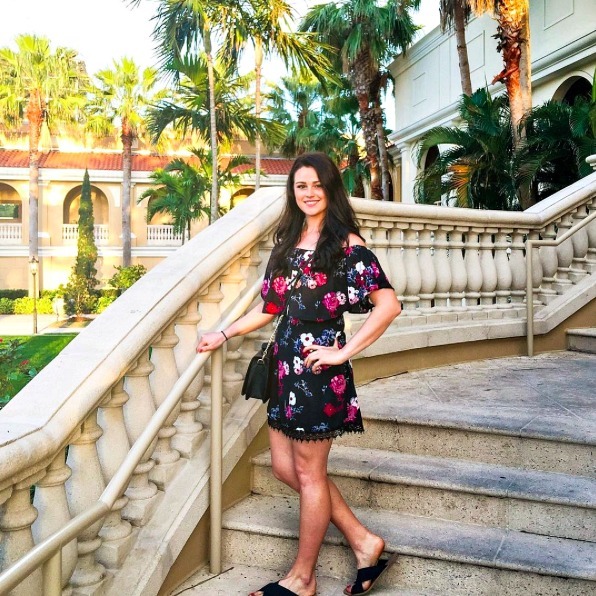 On Monday morning, I arrived at the Ritz-Carlton in Sarasota, FL, where the event was hosted. The weather was perfect, and I knew it was going to be a fun day. 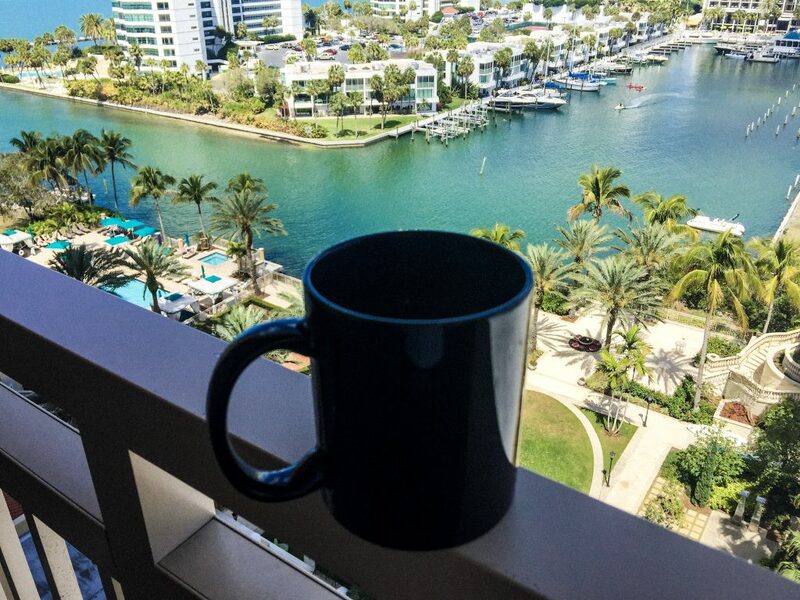 I had a couple of hours to spare, so I made a cup of coffee and enjoyed the views while I worked from the balcony. Vitamin C is not only good for the insides; it’s healthy for the skin (when you do it the right way.) Please do not run to the kitchen and start spreading orange juice on your face. I can’t stand to be inside at all in the summer. My face is always exposed to ultraviolet radiation and environmental pollutants when I’m out at the beach, or on my long runs. When we were informed that vitamin C helps with sun damage and aging skin, I was all ears. This facial was exactly what I needed, and it was extremely educational, too. 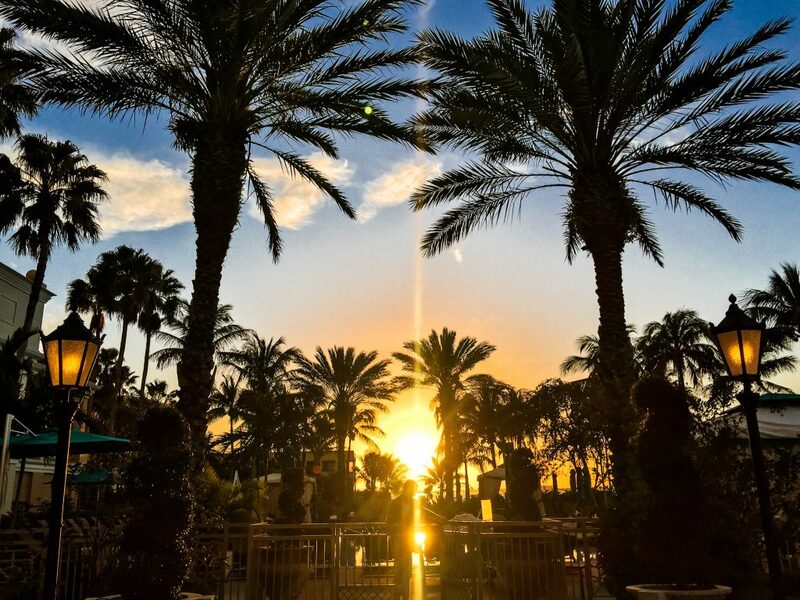 The Ritz-Carlton is known for their Vitamin C facials. After the facial, we sat around the spa and chatted. It was so cool to meet other bloggers, and some I’ve already been on press trips with before. After our afternoon at the spa, I headed back to my room to get ready for dinner. I was so relaxed from the facial, that I laid on the bed, smelling like a juicy orange, for about an hour. I only gave myself twenty minutes to throw on a dress and make-up. That was straight up spa hair. The dinner views were breathtaking. 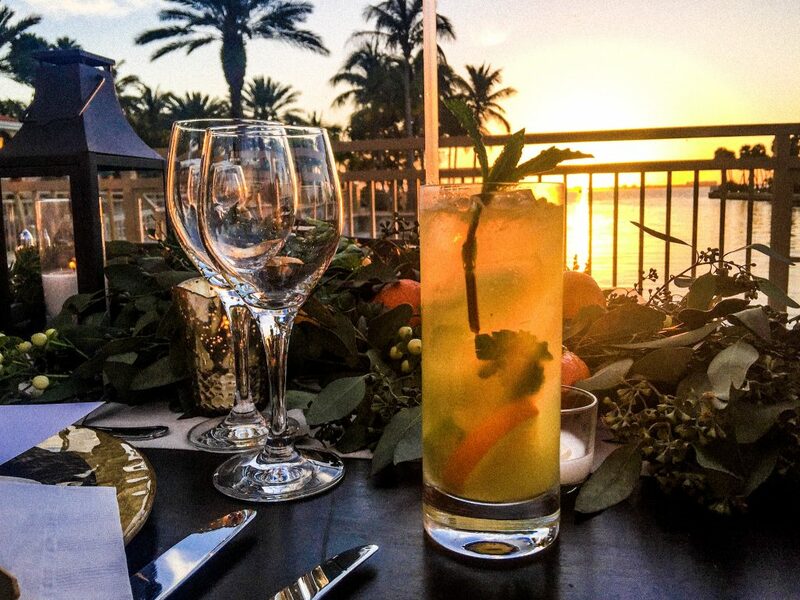 The chefs at the hotel prepared our dinner with hints of Tropicana oranges to make our experience even more special. All of the food tasted so earthy and fresh. I left inspired to start incorporating fresh oranges into my recipes. We had Tropicana inspired cocktails to start off the night. I had an orange mint julep, and I’ve been dreaming about it ever since. They thought of everything. The table decor was impressive. We were surrounded by candles, fresh oranges, and succulents. 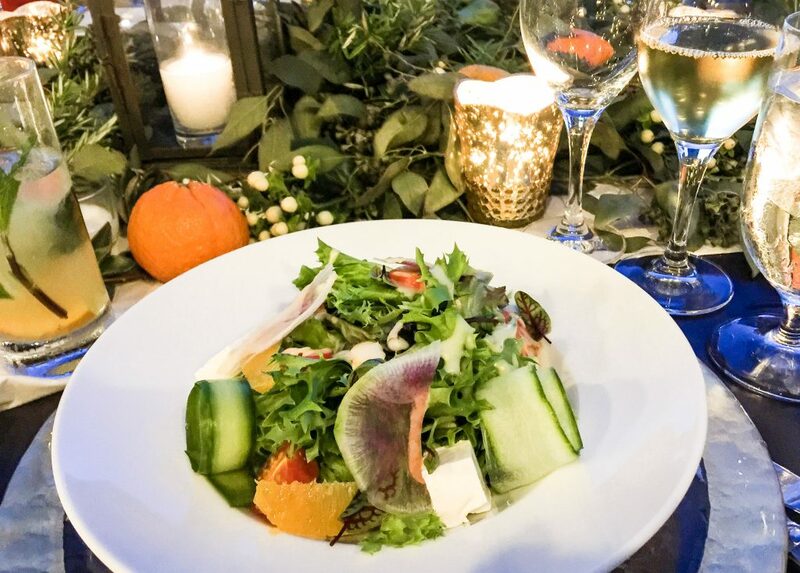 Our starting salad consisted of mixed baby greens, orange segments, cured cherry tomatoes, grilled fennel, feta cheese, and orange oregano vinaigrette. It was wonderful and almost too beautiful to eat. 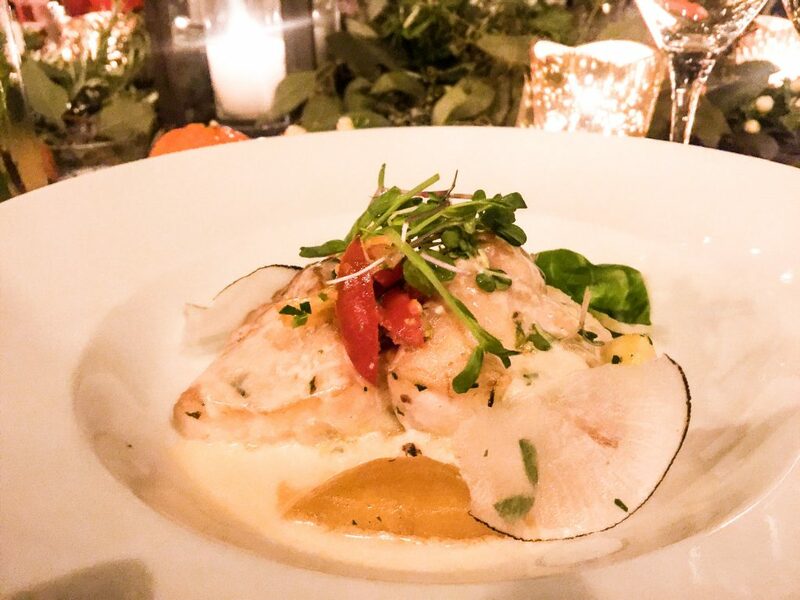 For our entree selection, we had the choice between a grilled filet of beef, or pan seared grouper. I hadn’t had grouper in a very long time, and it’s one of my favorite kinds of fish, and it’s lovely paired with orange, so I chose that! I just wish I could eat this all over again. It had citrus beurre blanc, tomato vierge herb risotto, and seasonal vegetables. Every bite was magical. The dessert was a work of art. I felt bad eating the gorgeous orange cake, but every bite was worth the destruction. 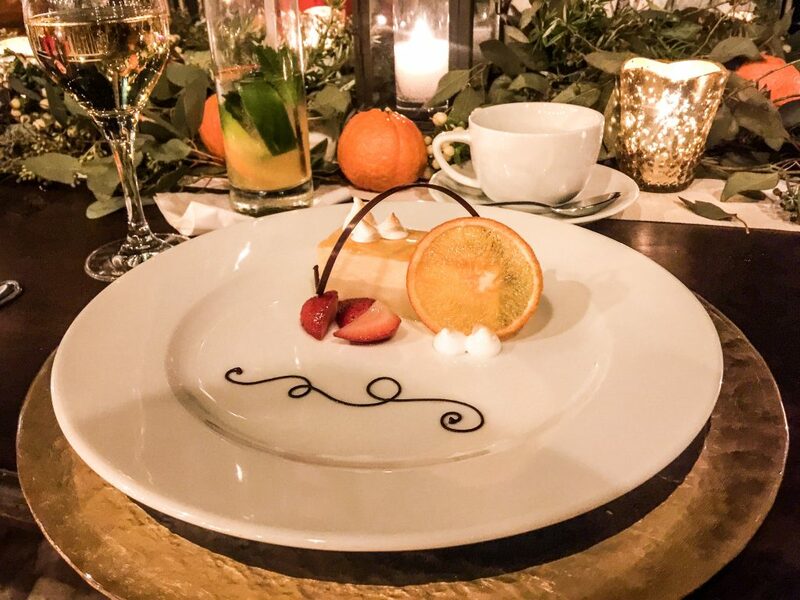 It was paired with honey soaked strawberries, sweet meringue, a candied orange, and chocolate. 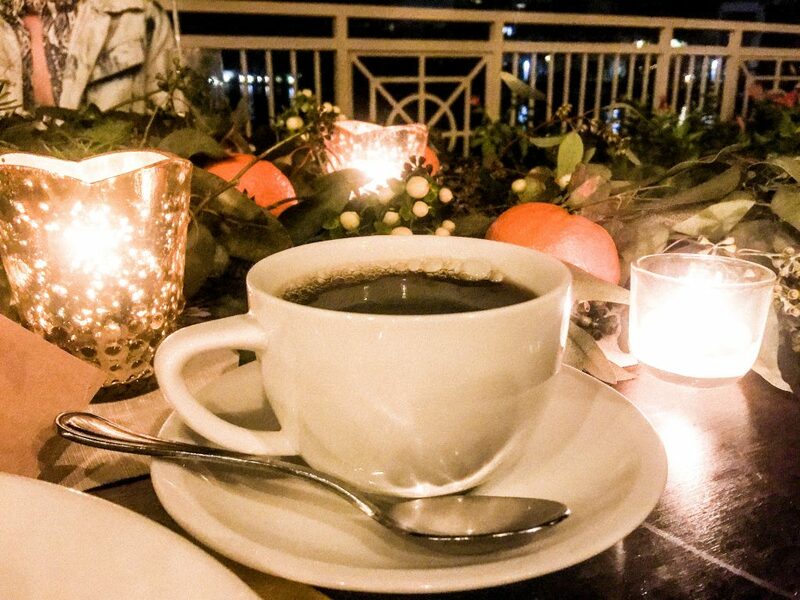 I like to end my day the same way I start it…with coffee. We had an early start on Tuesday. Breakfast was served at 6:30 am, and our shuttle to the Grove was taking off at 8 am. I decided to wake up with the sunrise and get some work done before the day started. I always love being up to watch the sun. 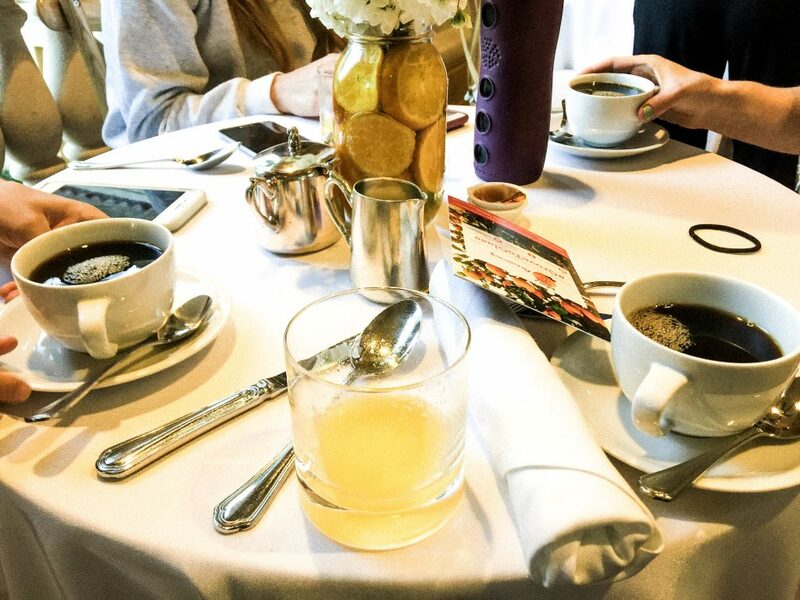 I headed down to breakfast around 7:30 to have coffee with some of the bloggers and get my OJ fix before heading to the grove! Don’t forget to check out these talented ladies after you finish reading this post 🙂 Everyone was so nice, and it was awesome to see some familiar faces. When we drove up to the grove, it was breathtaking. The early sun was shining through the trees, the wildlife was at peace, and it was a very calm place. 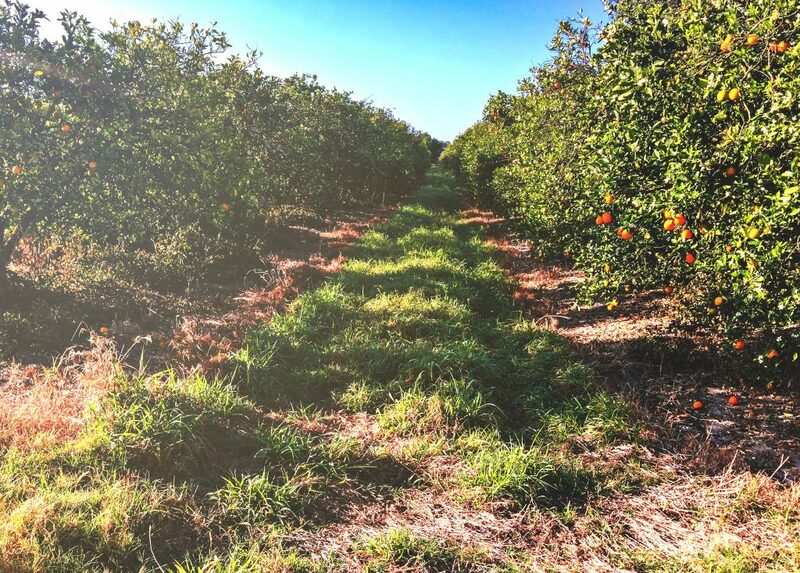 Who would have imagined an orange grove being so therapeutic? And if I had to guess what heaven smells like, I would assume it’s close to the scents of the orange groves. For a minute, I daydreamed about lacing up my running shoes and taking off through the beautiful groves. The trees were endless, and I could explore for miles. 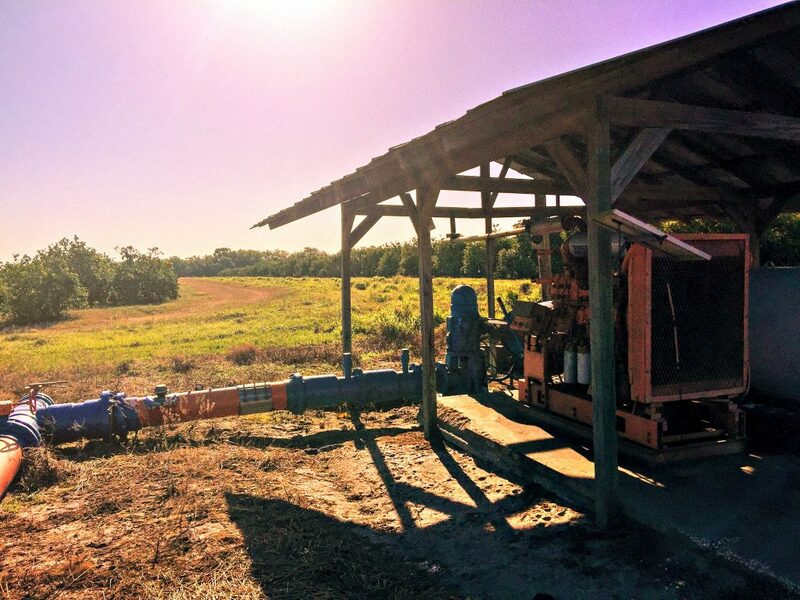 Tropicana works with over 400 growers across Florida to create a blend that consistently guarantees the freshest and most nutritious juice. They achieve this by hand picking the fruit at the exact moment of ripeness. 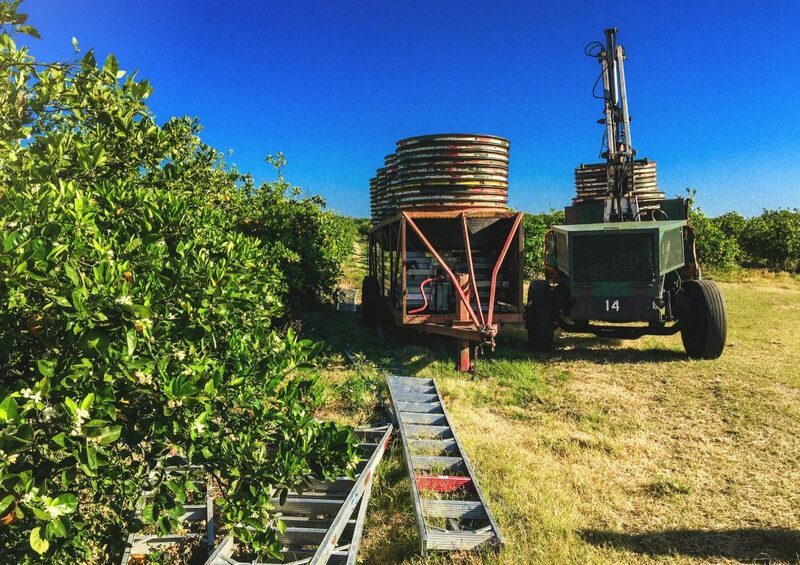 Once the fruit is picked, it’s transferred to the plant and juiced within eight hours. They time the trucks to make sure all of the oranges picked are juiced that day. Otherwise, they’ll over ripen, and the flavors will be off. It’s not as easy as picking the fruit off of the tree, taking a bite, and determining the ripeness at that moment. Tropicana has specialists that test the fruit to make sure it’s perfect for picking. It’s crazy to think that the oranges take about twelve months to reach its ripeness. We visited the orange groves about a week and a half before the peak. No one buys more fruit than Tropicana in Florida. 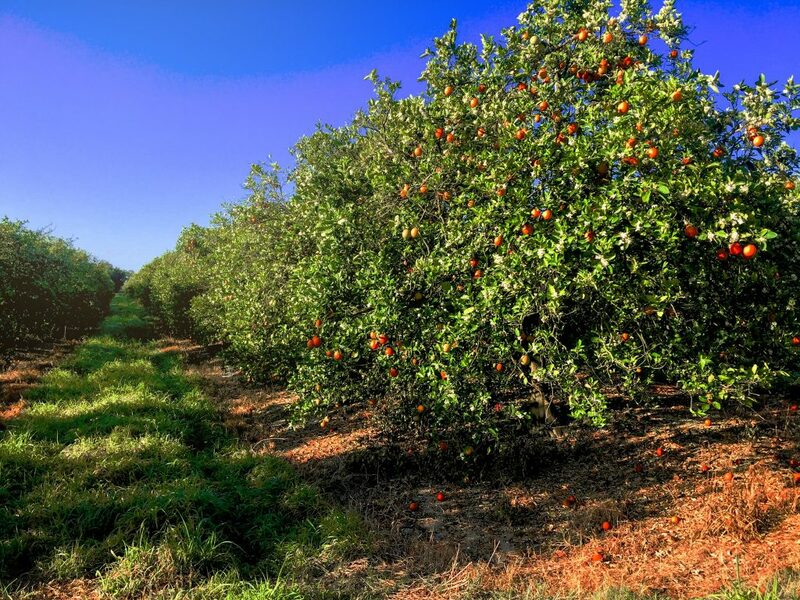 They support local farmers by using miles on miles of orange groves throughout the state. 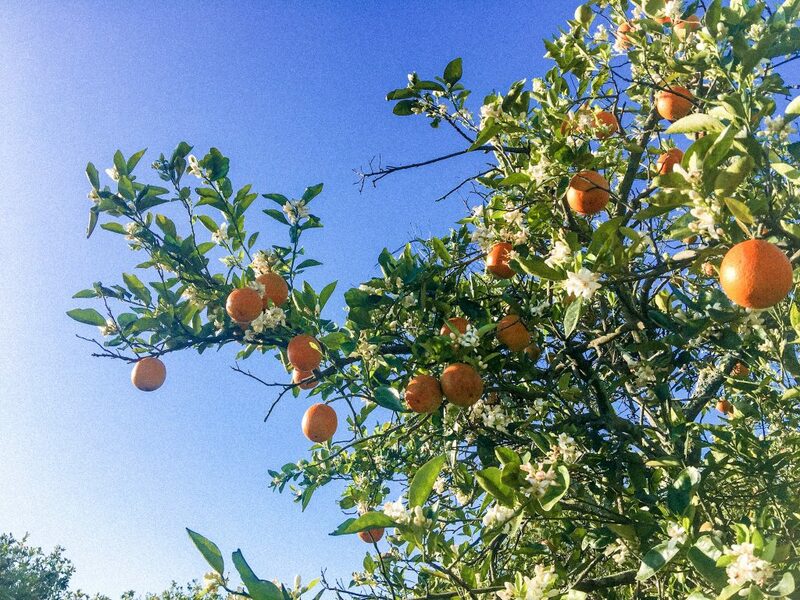 A mature orange tree can grow up to 1000 oranges, and they are all handpicked! I love how many jobs this creates. The groves are home to a lot of wildlife too. I saw my very first alligator in the wild, and it didn’t scare me as much as I imagined it would. Herons walked around the groves, turkeys, bunnies, deer, and a lot of crab spiders! We tried oranges straight from the trees. I’ve never had a better orange in my entire life. 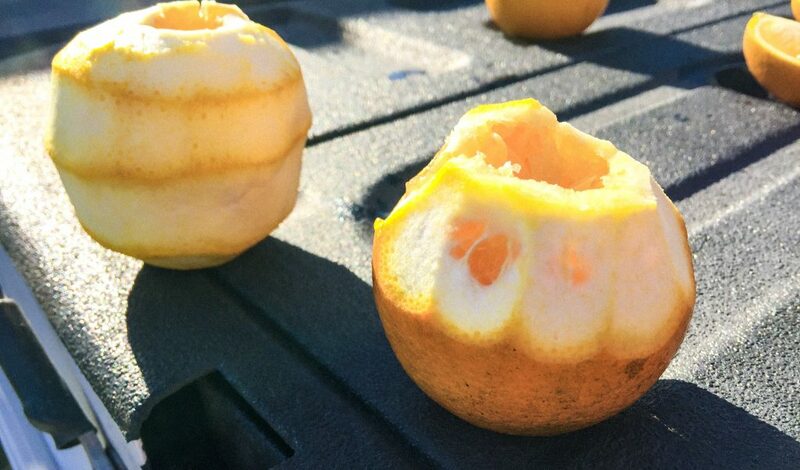 The oranges cut above are called “juice boxes,” and you can drink from them just like that! It’s crazy to think that during the peak season, as much as half of the juice in a Tropicana bottle will come directly from the oranges juices picked that day. The orange blossoms were so pretty. 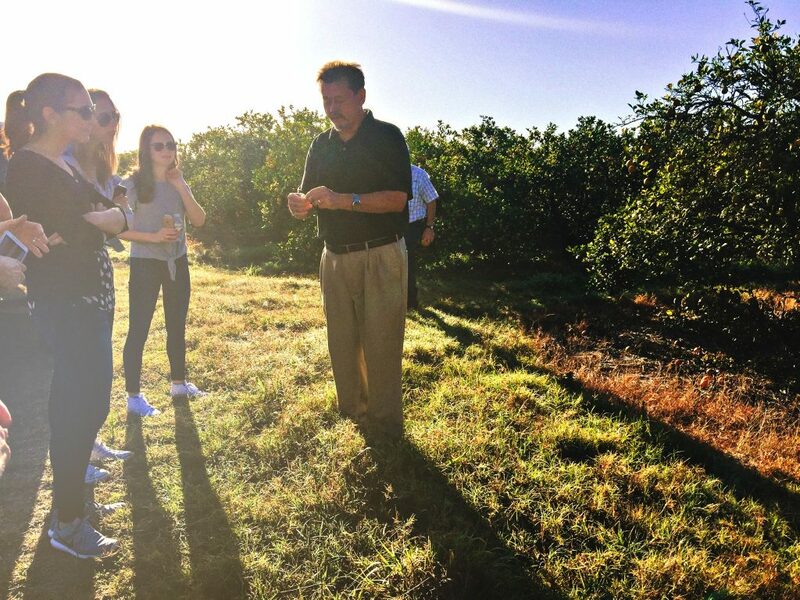 After exploring the groves, we headed to the plant to see how the oranges turn into delicious orange juice! They geared us up in orange vests, safety goggles, hair nets, and earplugs. We split up into groups and headed out on our tour of the plant. 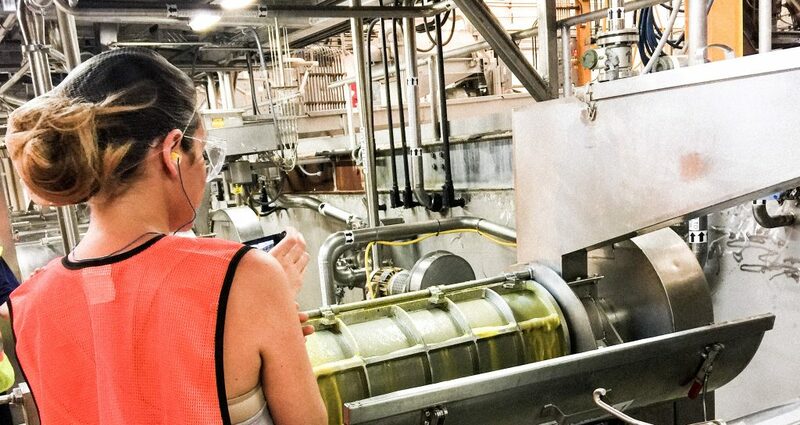 This is where they turn millions of oranges into 2.5 million bottles and cartons of tasty O.J. on the daily! As soon as the oranges arrive, they immediately go through the cleaning process. Even the green oranges you see are perfectly ripe. Don’t let the name “orange” fool you. 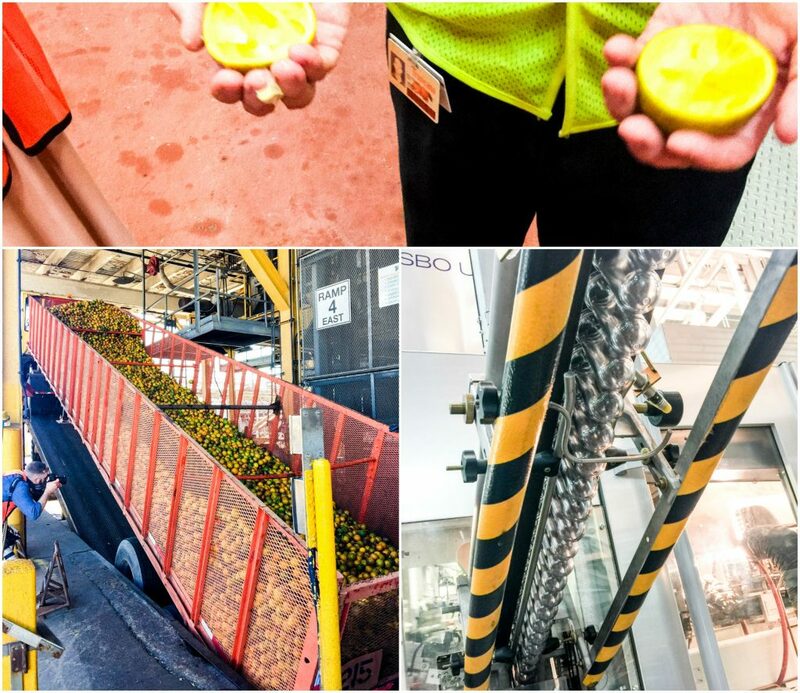 Once the oranges go through the cleaning process, they are stripped of their oils, have their pulp removed, squeezed into fresh juice, and then immediately packaged up! This was one of the shortest tours I’ve ever been on, and that’s because the process is so simple. The bottles of Tropicana orange juice are 100% orange juice. There is no added sugars, or added anything! One 8 ounce glass provides two servings of fruit, and it’s filled with healthy nutrients that we need to start our days. Nothing goes to waste either. 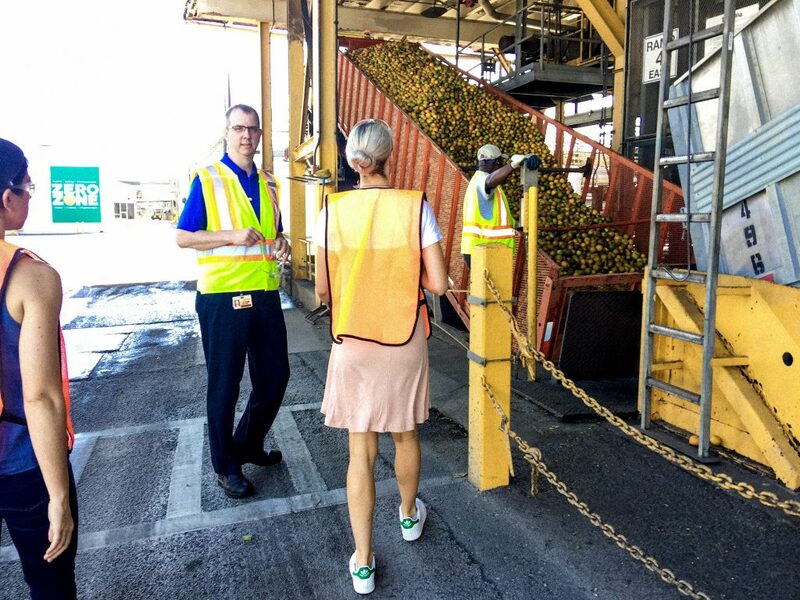 Tropicana uses the orange peels for cow feed, and the oils are sold for scents and other uses. 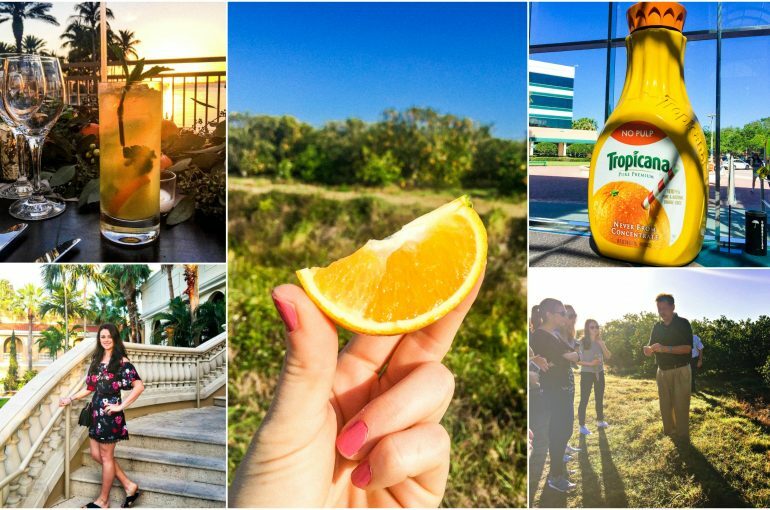 It was fun to experience an exclusive behind-the-scenes look at how Tropicana comes to life! I love knowing that when I drink Tropicana, I’m also supporting farmers, adding healthy nutrients to my diet, and starting my day off right. To be honest, I used to think (without looking at the back of the bottle) that orange juice was just water, oranges, and added sugars. Boy, was I wrong! I think that’s a pretty common misconception, and I’m so happy I’ve been informed correctly. 1. What is your favorite way to consume oranges? 2. 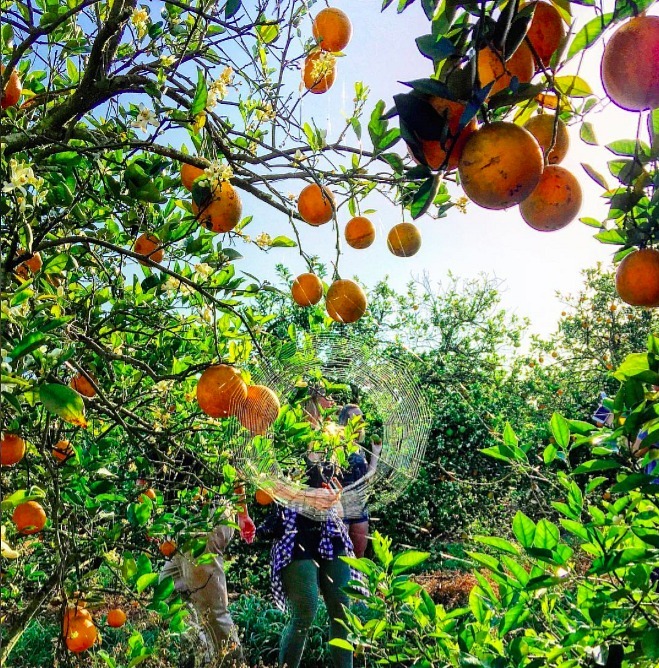 Have you ever been to an orange grove? 3. What was one shocking fact you learned from this post? 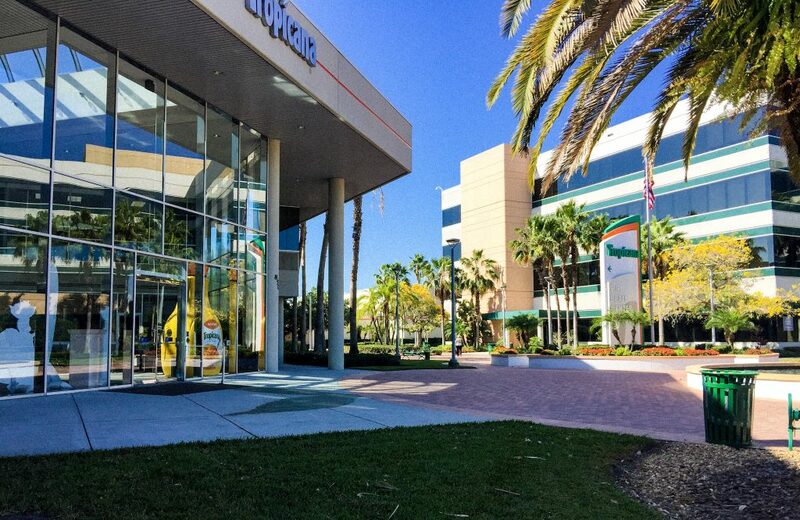 Don’t forget to follow Tropicana on Social media! I’ve been mixing orange in smoothies lately, they’ve been awesome! 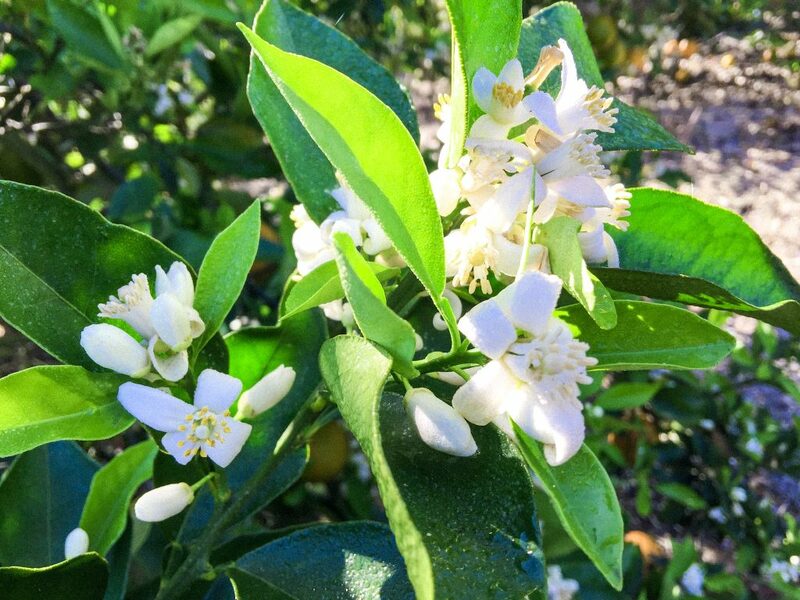 I have never been to an orange grove but Sarasota is one of my favorite places to visit! That sounds like such a fun trip! Yum!! love orange smoothies in the summer! 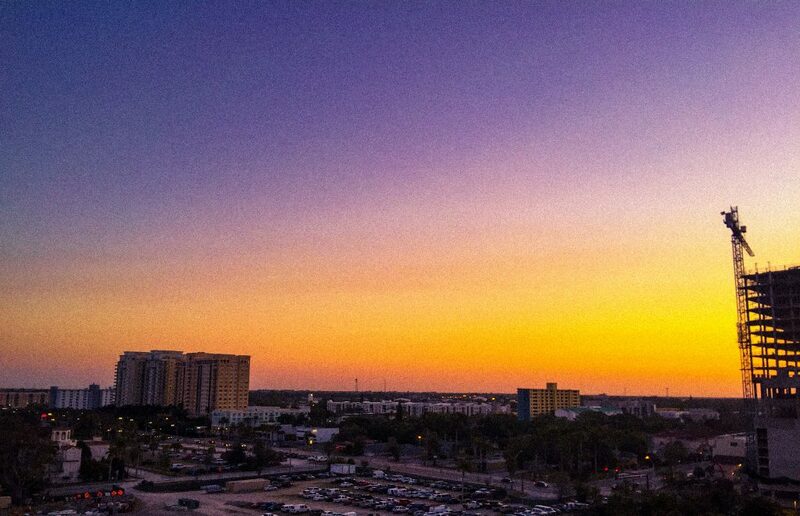 Sarasota was so pretty and I can’t wait to visit it again! I hope you have a great week & thank you for stopping by to read! I don’t drink a lot of OJ but I always have it on hand because it is the ONLY thing that stops my restless leg syndrome in the middle of the night. Weird I know! That is crazy, but so glad it helps! How did you find that one out?? I got that dress or like $15 at Charlotte Russe! It really was a great experience. I hope you get to see it one day too! I am always so negative about juice and all the extra sugar they “add to it” jeez, I love that I was wrong. I’ll be adding that to my weekend breakfasts! Lol I was in the wrong too! I feel like I’ve been reading so much lately about how good vitamin C is for your skin! I’ve been looking for a good vitamin C serum to start using, and this amped me up even more to get one :). The food looks like it was amazing as well. Orange juice is one of my ultimate cravings. You should! It’s been one week since I’ve been using the vitamin c on my face and I CAN DEFINITELY tell the difference!! I really did have a great time & thank you for reading! I have never had a professional facial and the thought of one that leaves me smelling like oranges sounds heavenly!! What a fun blogger trip this was, and full of some interesting information, too! 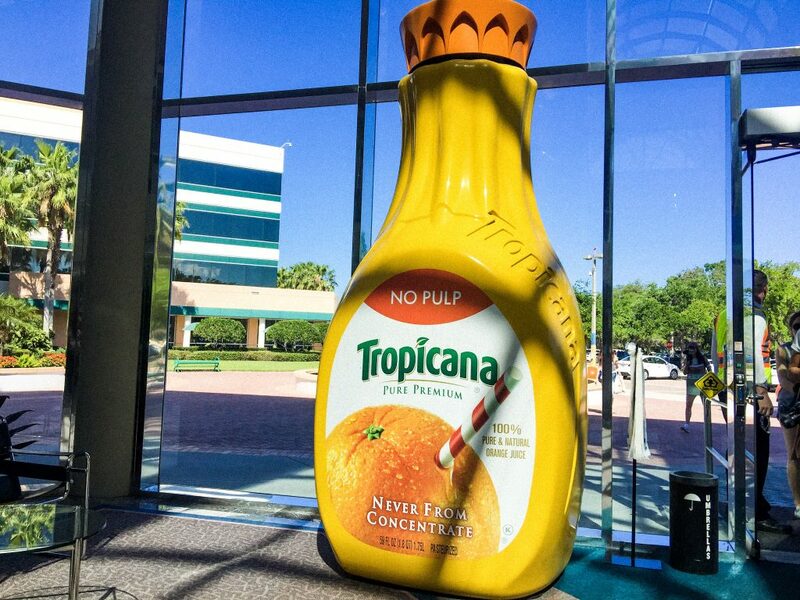 Orange juice gives me tremendous heartburn so I have to avoid it completely, but I do love Tropicana juices! I loved learning about the vitamin c facials and I too thought Tropicana was filled with added sugars. I loved learning about that too! I’m obsessed with face routines right now because I literally hit 30 in four years!!eeeeeek. You seem down to earth and relatable like Lee! I am a new follower! 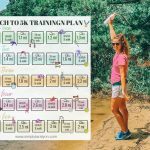 I read a bit about your half marathon and I will be running the same one. How cool! Lee was so cool and I really enjoyed being on the trip with her and the other girls. It will be a fun half! Very cool that you’re running it too!!! wooo!!! xo xo & welcome to the blog! That juice box looks cool. Can you do a tutorial on how to cut one? I think my kids would enjoy it. I will have to teach myself first lol! He did it quick with a pocket knife so it cant be that hard! I’ll try it out! 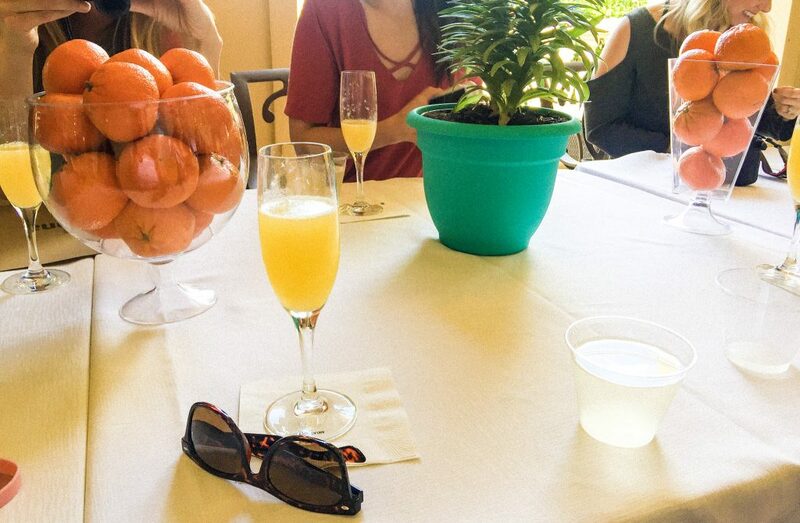 Um, Mimosas 😉 I also love plain orange just, and fresh peeled oranges! Really any way I suppose. I have not but it looks amazing! I think I would love it because it would mean I’m in a tropical place. I love apple picking so I think an orange grove would be amazing to see! 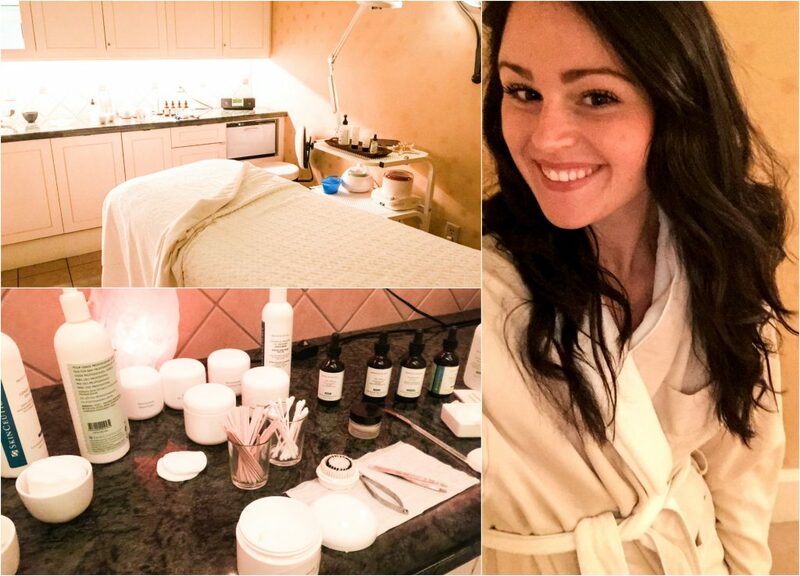 I was honestly surprised about the Vitamin C facial! I’ve never had a facial before either and it sounds amazing. I didn’t know Vitamin C would so good for the skin! Question for you — I LOVE Trop50, did they talk about the process of making that at all? It sounds like you had an AMAZING experience! I’ve been following Cara Loren recently and when I saw she was on the trip as well it was cool to see from two different perspectives. I agree. There is something about oranges that are so refreshing and can also be therapeutic when made into scents! Yeah, you should totally take a trip to the groves sometimes. The smell, the scenery, just everything about it! Cara Loren is so sweet! Glad you’re following her. So glad I found your blog (via the Healthy Maven). I didn’t know that Tropicana’s orange juice didn’t have any added sugars. Definitely awesome! 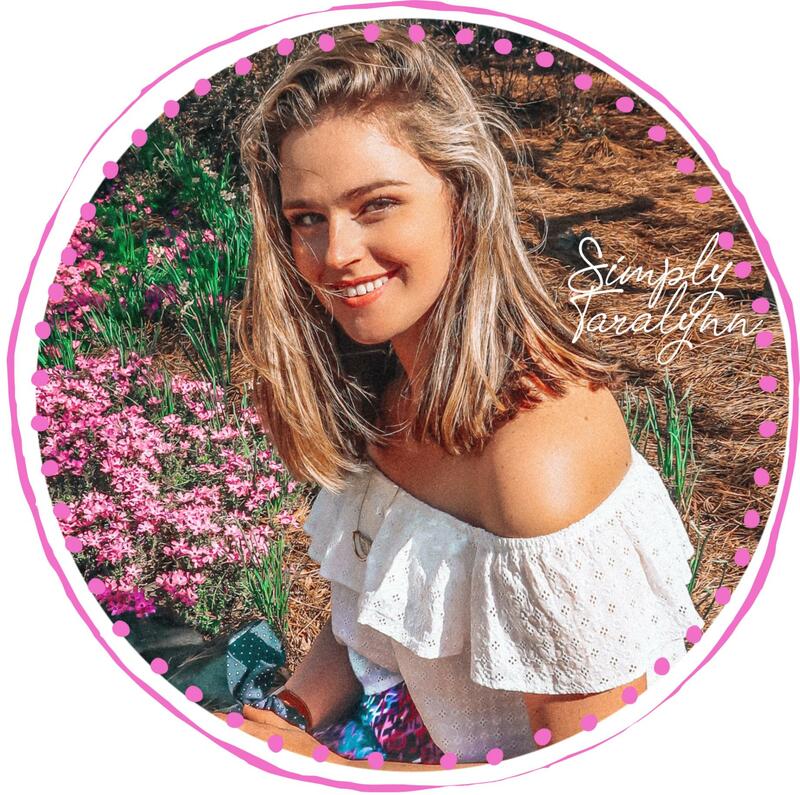 Welcome to my blog 🙂 Davida is awesome! I thought it was full of added sugars too. I don’t know where that thought even came from! xo xo hope you enjoy the blog! Reading this made me super happy I packed an orange today for part of my lunch, ha. 2) I have never been to an orange grove. 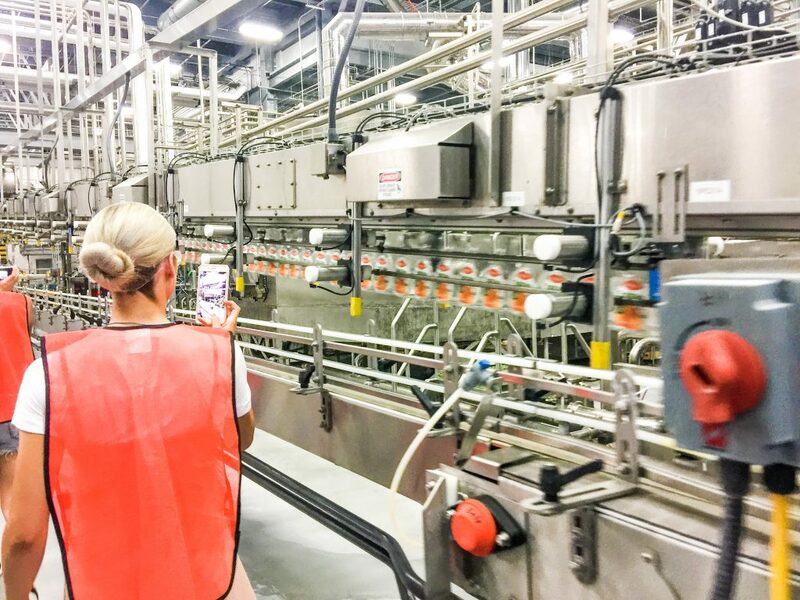 I work for a food corporation though and one of my favorite things is getting to visit the production plants. Icing and bread are hands down my favorite because they SMELL. SO. GOOD. 3) I definitely would of thought they would add a preservative or two. It’s really cool they don’t! As always, love your post! I love orange sherbert too!!! I don’t know why I thought sugar and preservatives were added! xo & thanks for reading!! This press trip looks incredible! 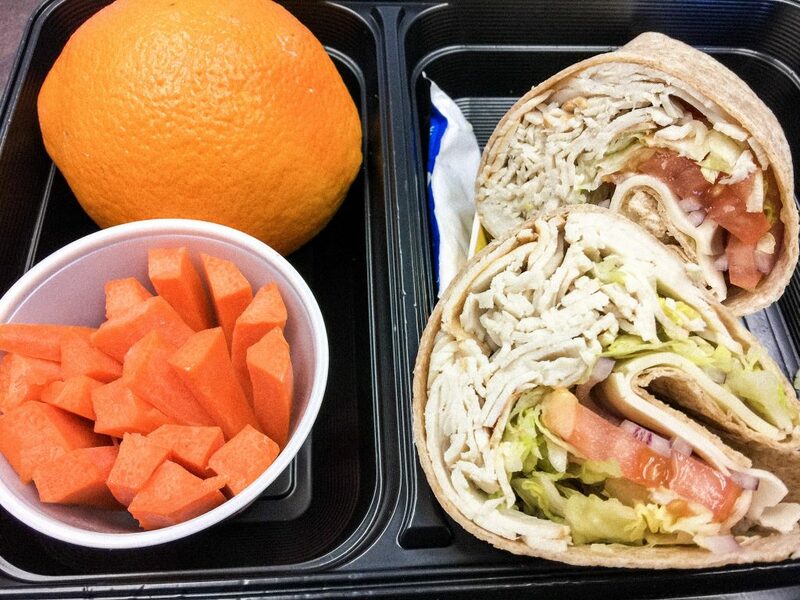 Oranges have always been one of my favorite fruits to eat. I love all of the attention to detail everywhere you went. What a wonderful trip! 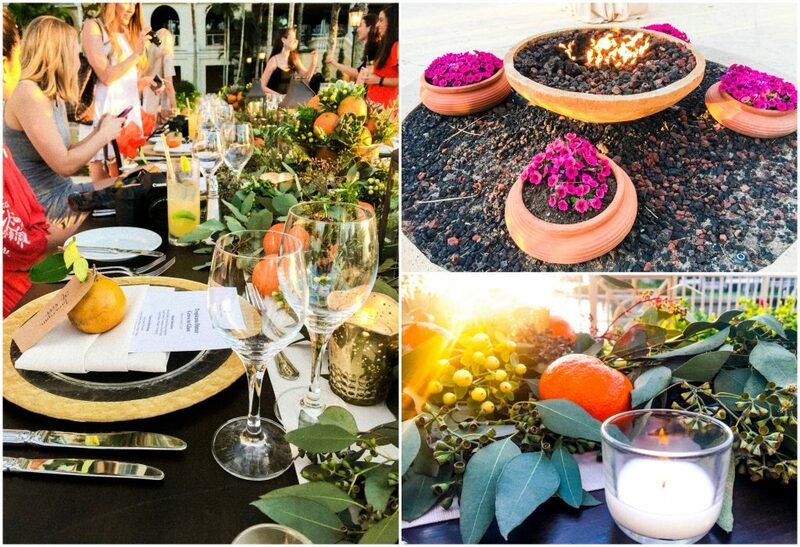 All of the orange recipes from the dinner look delicious! I’m inspired to start cooking with more oranges now! I love oranges in any way I can get them! Juice, whole oranges, or my favorite (less healthy) orange chocolate ice cream! I actually always choose tropicana when I have the choice! 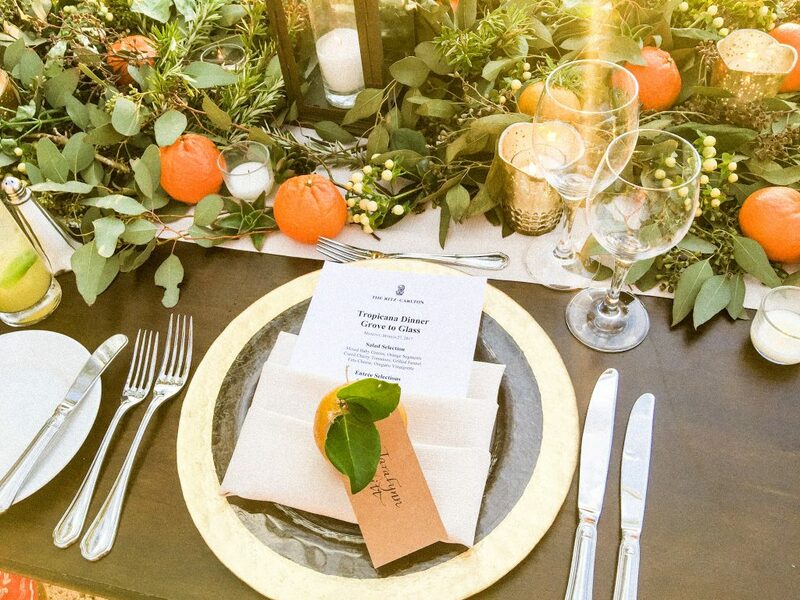 I’ve never visited a orange grove, but now I want to! 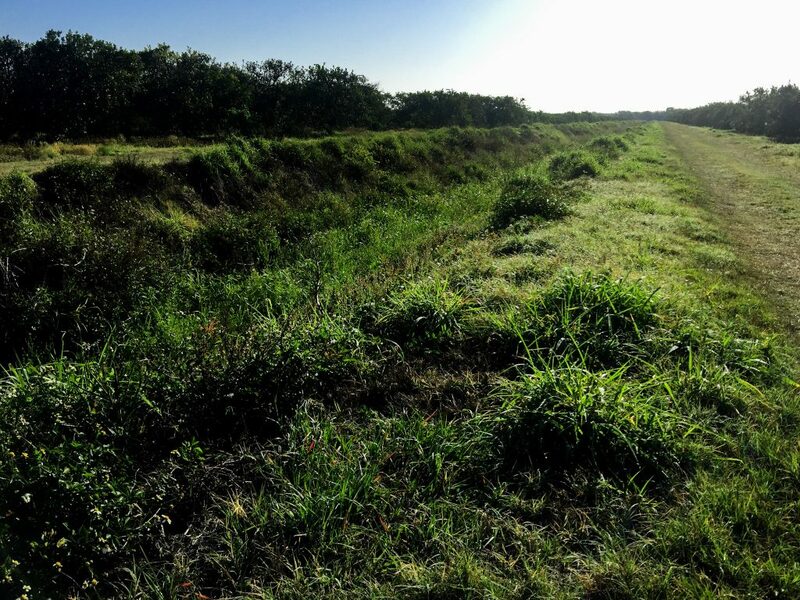 Running through the groves with the citrus scent in the air would be heavenly! I wasn’t shocked per say, but I was excited to learn that tropicana works with local growers around the state! I love when companies support the smaller growers and farmers! I left feeling the same way! OMG, I wanted to run so bad!! I agree 🙂 Love my mimosas! 1)	I’m a HUGE fan of just eating orange slices! It’s difficult when you have a desk job, and you get juice and sticky stuff EVERYWHERE! 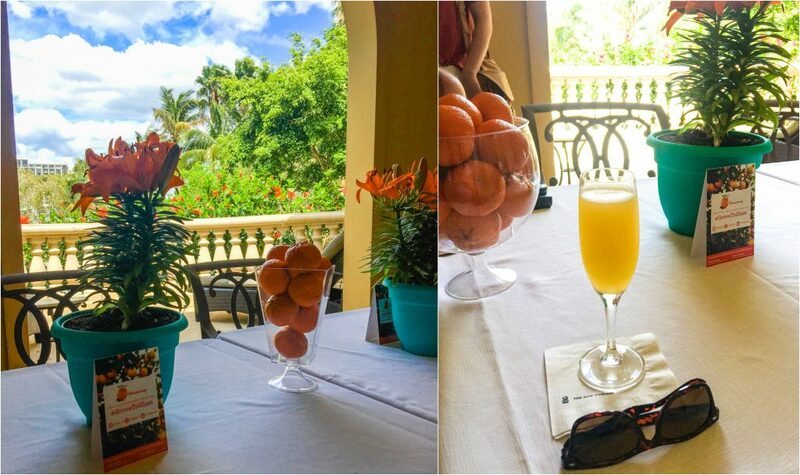 2)	I’ve never been to an orange grove, but now I’m adding it to my list! Hope you had a blast! I just love reading your blog! Champagne always welcomed in a glass of OJ!! What a fun trip! I’m a Florida girl, so I am so thankful to have quick access to delicious, locally grown oranges. 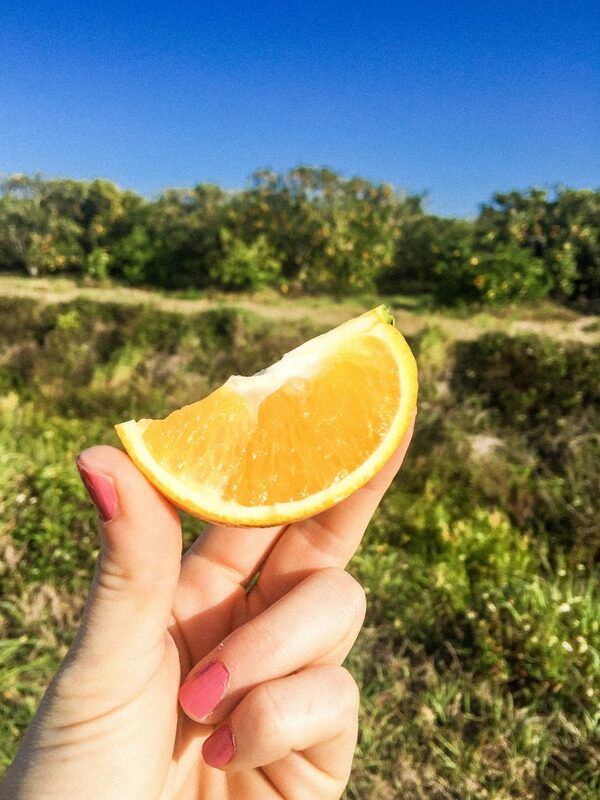 My favorite way to enjoy an orange is on a salad — I know you love your salads as well, Taralynn! You are so lucky 🙂 I am moving to Florida one day (no doubt about it) and I can’t wait for the fresh oranges. Kyle’s mom sent us a box at Christmas and it was amazing. Oranges on an arugula salad with feta is a game changer! It was so much fun and very informative! xo Thanks for reading!! Man. This is the best blog ever. THANK YOU for writing it. Enjoyed it so much. I like orange juice. Actually love it. But when I started losing weight a few years ago, I quit buying it. Left that option out of my fridge along with other things to drink. But here recently I’ve been getting it again. Here and there. Going grocery shopping this weekend and I PROMISE I’m getting some Tropicana OJ! 1. I like to eat oranges on their own. Peel and snack! 2. 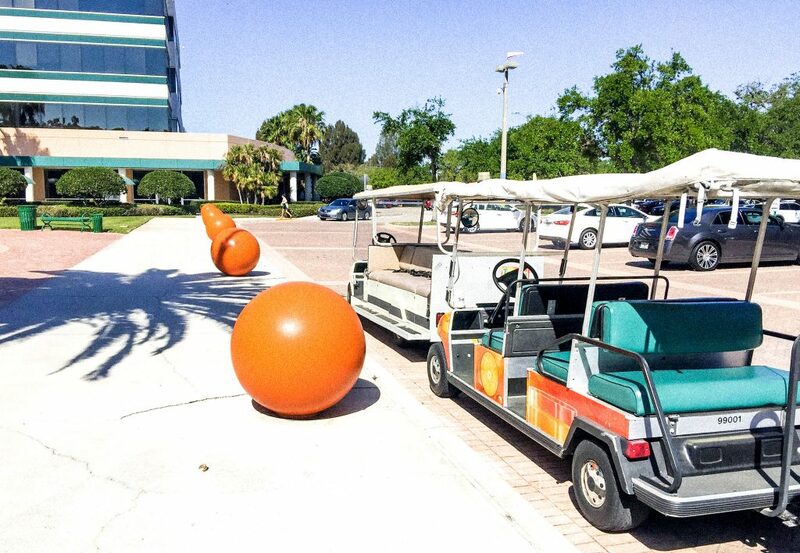 Never been to an orange grove. But I want to go now! 3. The shock was the ingredients parts. Like I read its all natural but there is still a part of you that wonders. Because I would think most of think SUGAR SUGAR SUGAR when we think of most OJ’s we can purchase at stores. So to really know that when I drink their OJ… I’m putting only what that orange produces from it in my body. All natural juices, etc. That is awesome. I love OJ on a Saturday morning. I enjoyed writing it! I honestly think starting your day with orange juice is so healthy and I’m glad you started buying it again! 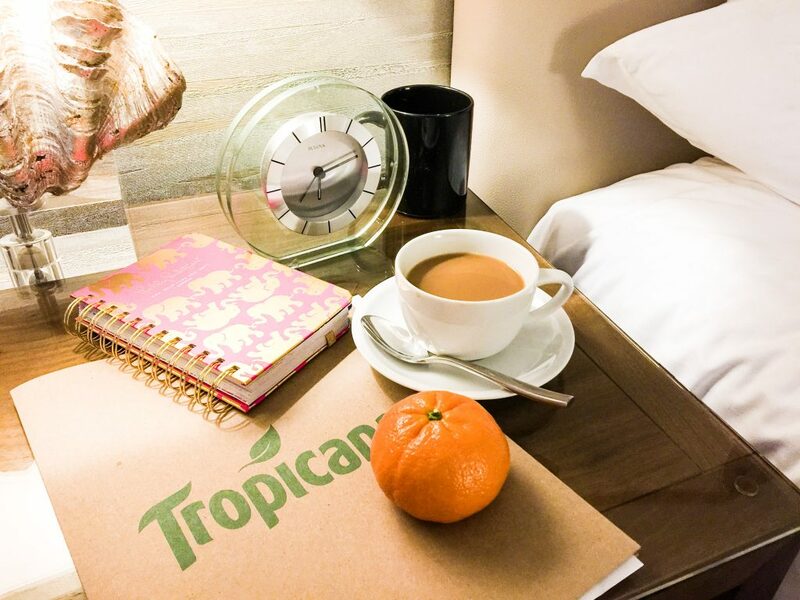 Tropicana is just as healthy as freshly squeezed orange juice, because that is exactly what it is! I dont know why I thought that either, so I really LOVED seeing the process and knowing that there is NOTHING added. I hope I can become a big time blogger like you someday! I’d also love to visit hotels and travel and get sponsored with all these wonderful opportunities. And I want to meet you one day! I am very fortunate to be given these opportunities. It’s what keeps my blog thriving. Never give up on your blogging dreams! Continue to post, spread your positivity! I love the fact that Tropicana is all natural, and they do not let any part of the orange go to waste :). Very informative, thank you!! I was surprised to learn that as well. I don’t know why I thought it was filled with added sugars and nasty preservatives! I LOVED following this trip on your snapchat, looks incredible! Annndd now I’m craving some fresh OJ, yummm. It was a great trip and I learned so much! I think I’d have to have them secretly too 😉 xo xo have a great weekend. My 15 Favorite "At Home" Salad Fixes!